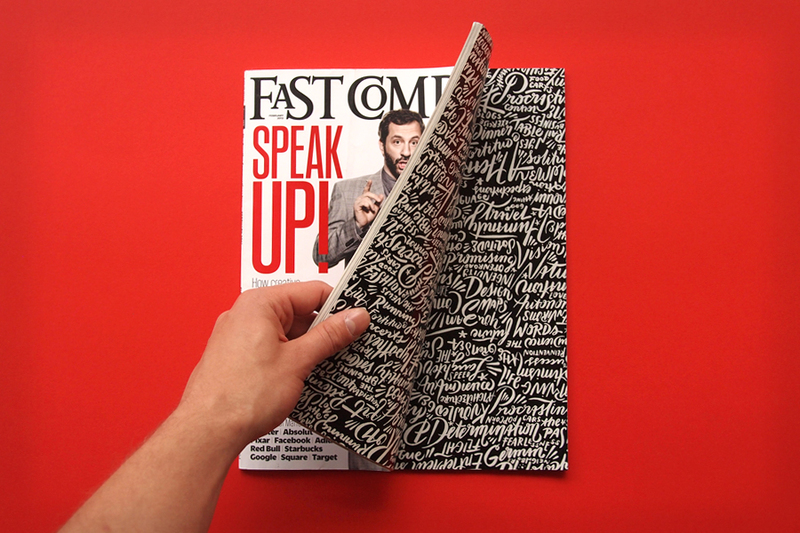 FastCompany Magazine, in collaboration with Lincoln Motor Co., created a series of interviews about inspiration in one of their monthlies. They had The Pressure create a texture of script type based on things that are "inspiring," which could be flipped and read two ways as a transitional spread. Thanks to Florian Bachleda and Hudson Rouge for the art direction. Photos by Ryan Bush.